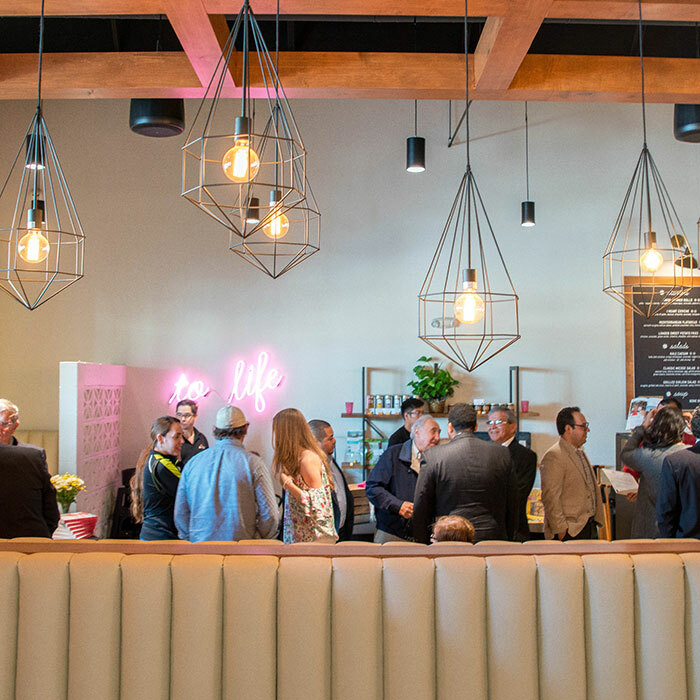 With clean, modern, and hip interiors, the design of this new-concept restaurant serving healthy dishes based on fresh veggies and natural foods was created to inspire healthy eating and community. The Pulp Design Studios team worked closely with the founders to help define the brand direction and carry that concept through to the interiors. Anise Kitchen has become a hip destination for Laredoans to find fresh eats, natural market finds, and cool vibes. "We worked to embody the Anise mission in our design... it's about nourishing and elevating your life."